In a New York Magazine essay, Emily Nussbaum argues that TV became Art in this past decade. But thanks to Buffy that had already happened at the end of the previous one. This was the decade in which television became art. So argues Emily Nussbuam in a recent New York Magazine essay, "When TV Became Art". She certainly makes a strong case that 2000-2009 was a pivotal age for TV and I strongly recommend her essay to anyone interested in the development of television over the past decade. I agree that this was, all in all, the finest decade for great television. Others have argued that TV had arisen as an art form in earlier decades, some (though in dwindling numbers) arguing for the fifties, based on the series that presented staged plays for a television audience, including such original masterpieces as "Twelve Angry Men", written by Reginald Rose for Studio One, and "Requiem for a Heavyweight", written by Rod Serling for Playhouse 90. 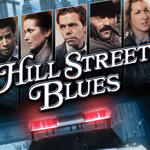 Later, Robert J. Thompson, in his widely cited Television’s Second Golden Age: From Hill Street Blues to ER, argued for the eighties as the crucial period. But Nussbaum has numbers on her side; it is difficult to argue against the sheer quantity of very fine shows that emerged in the past ten years. The number of truly great series from the past ten years is so substantial that it might surpass the number of great shows from all previous decades combined. Nonetheless, I want to take issue with Nussbaum. I think that chopping the overall picture up into decade-sized blocks obscures the reality. I believe that one can point at a precise point where TV became art, and that point was the debut of Buffy the Vampire Slayer. 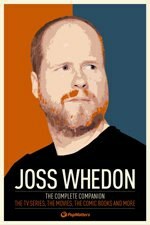 No one questions the enormous influence that Joss Whedon’s quirky series exerted on other shows, but I do not believe that many people realize the degree to which it altered the TV landscape. TV was not art before Buffy, but it was afterwards. In contrast, the show that Nussbaum promotes as the apex of TV as Art, The Wire, has not actually played a crucial role in that development. The Wire is a beneficiary of the birth of TV as art, a promulgator of that development, not its cause. There is no question it is a truly great show, but it really did nothing to change TV. Television had already changed, and we largely have Buffy to thank for that. To be fair, Nussbaum does mention Buffy and Joss Whedon frequently in her essay, obviously crediting both the show and the creator for much of the best that the decade had to offer, but she seems to imply that TV as art was a work in progress as the decade began and it most definitely was not. Although many realize just how revolutionary Buffy was as a series and the impact that it made on the medium (many TV creators site it as their favorite show while others acknowledge its direct influence), not everyone is aware of how groundbreaking the series was or of the number of concrete changes it wrought on television. It was not merely a great TV series in its own right, it helped redefine what TV could do. Let me enumerate some of the changes made, all of them rather substantial. One of the most important changes that Buffy brought about was a new understanding of long story arcs on TV. A very brief history of narrative on television is in order to provide a context for my point. For most of the history of television, the format of series was episodic. On almost all shows (excepting soap operas), no matter what happened on one episode of a series, the next week would witness a complete reset. If James West was beaten to a pulp or even shot on The Wild, Wild West, the next week he would be as fine as ever.